The Ministry of Gender, Children and Social Protection has launched two documents to promote the welfare of persons with disabilities (PWDs). The documents, known as the “Framework and strategies for disability mainstreaming in Metropolitan, Municipal and District Assemblies (MMDAs)” and “Ghana’s first report on its implementation of the United Nations Convention on the Rights of Persons with Disabilities,” provide guidelines on how the MMDAs and other public institutions could make disability issues an integral part of their planning, budgeting and implementation of programmes. They also outline measures taken by the government to implement the United Nations Convention on the Rights of Persons with Disabilities since it ratified the convention in 2012. 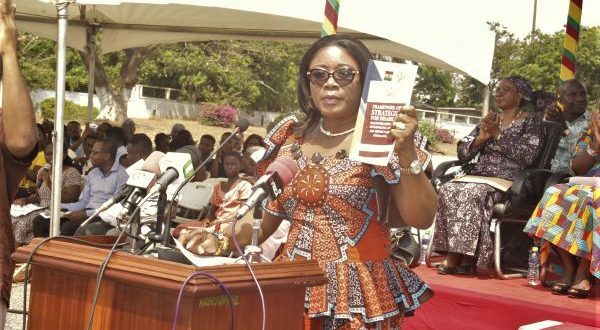 The documents were launched by the Minister of Gender, Children and Social Protection, Mrs Cynthia Mamle Morrison, at a durbar to climax the week-long activities for the celebration of the 2018 International Day of Persons with Disabilities in Accra last Monday. This year’s celebration was on the theme: “Empowering persons with disabilities and ensuring inclusiveness and equality,” and the durbar to climax the celebration brought together PWDs and other stakeholders. Addressing the durbar, Mrs Morrison said the government remained focused on its commitment to enhance the living conditions of PWDs. She, therefore, appealed to the public to support PWDs as the government could not do everything. “In our own small way we can help, and so instead of organising parties for people who can afford food, we can use the money to support persons with disabilities or adopt a child with disability,” she suggested. Mrs Morrison, who said she had a mother and a son with disability, told the gathering that she was passionate about promoting the rights and wellbeing of PWDs in all spheres of the society. The Executive Secretary of the Inter–Ministerial Coordinating Committee on Decentralisation (IMCC), Mr Salifu Mahama, for his part, said the implementation of the framework would ensure that PWDs participated fully in all aspects of societal life. A volunteer at the Centre for Employment at the Persons with Disability and Ghana Society for the Disabled, Ms Christiana Nkrumah, expressed concern about the extreme marginalisation that PWDs suffered and complained that her request to rent a room was turned down by a landlord just because she was physically challenged. She, therefore, called on the government to intensify efforts to deal with discrimination against PWDs in the country.